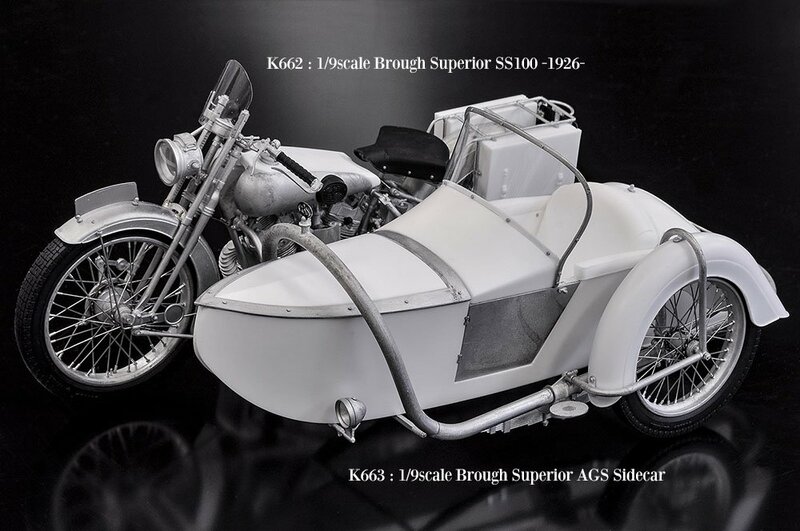 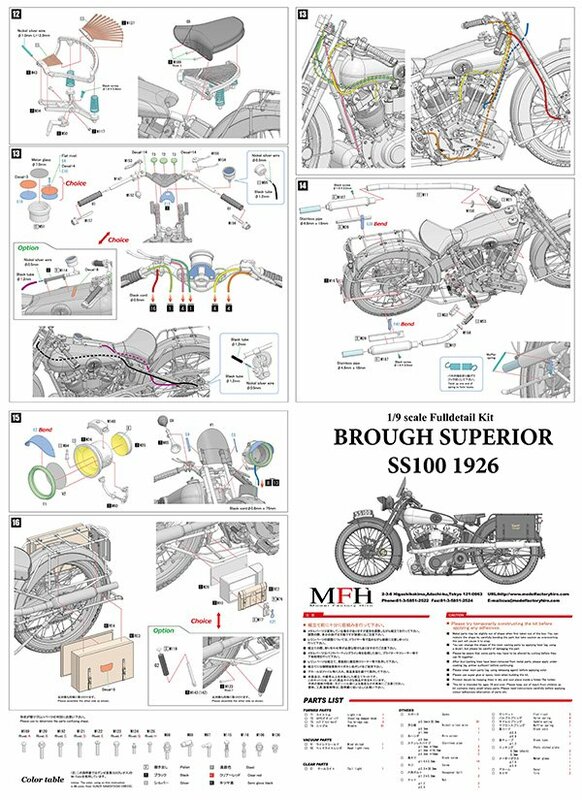 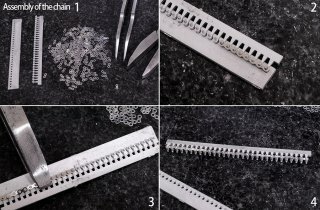 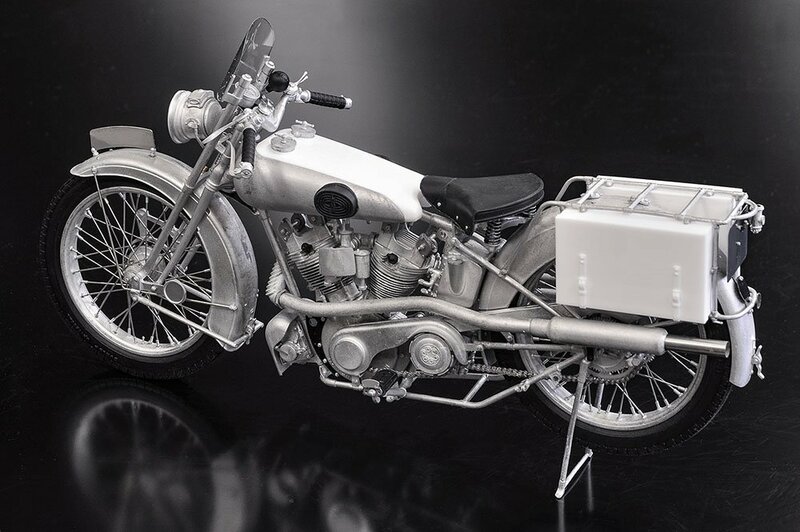 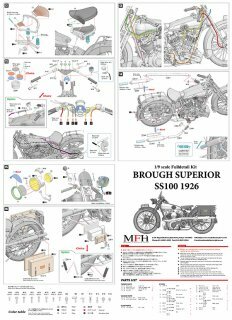 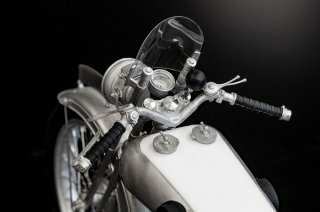 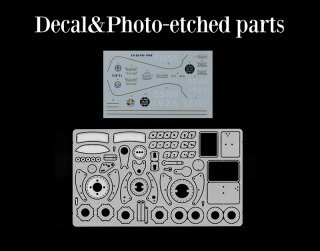 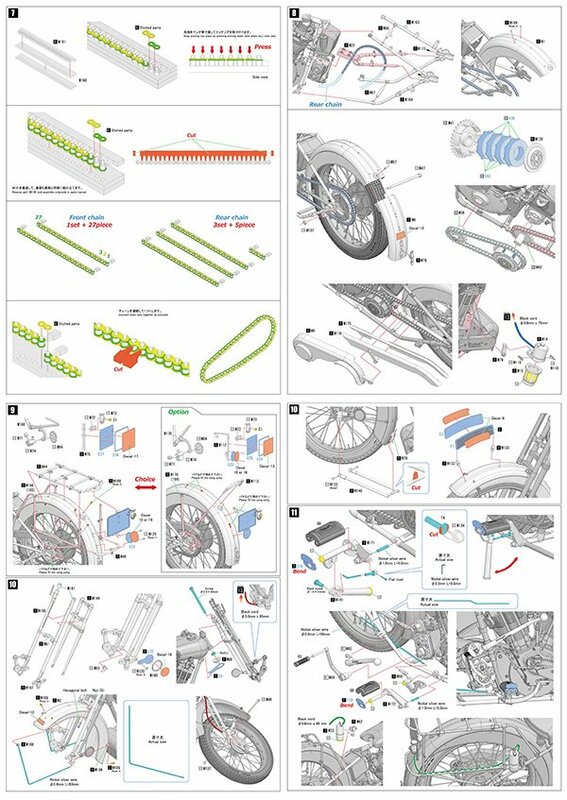 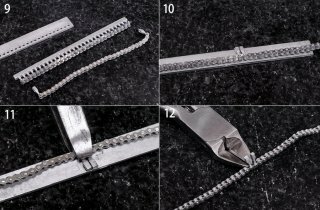 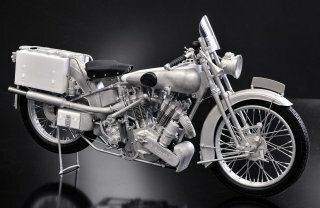 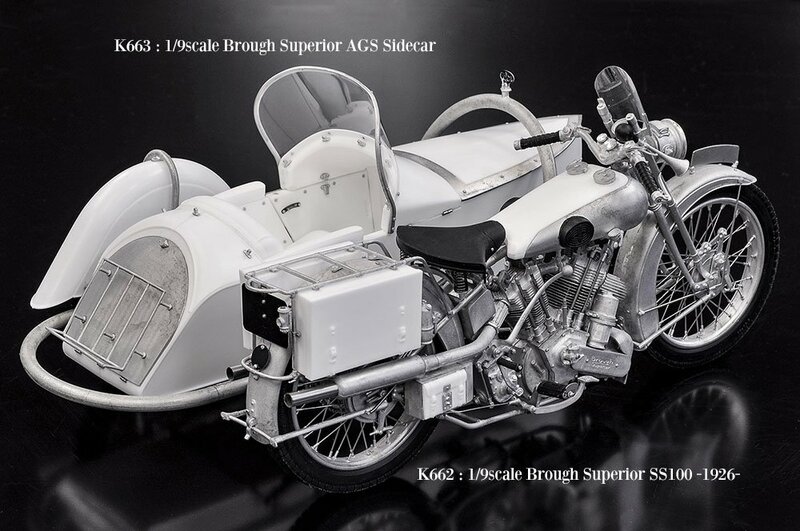 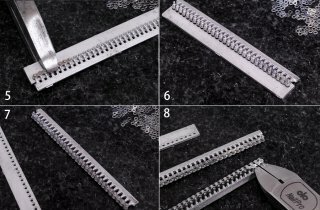 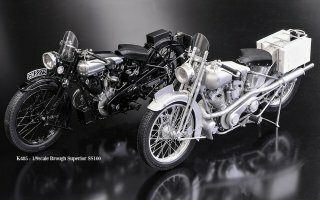 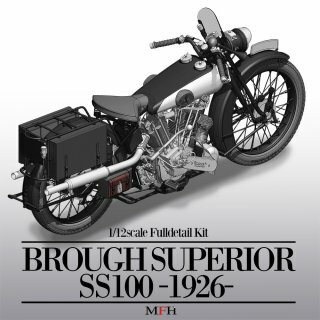 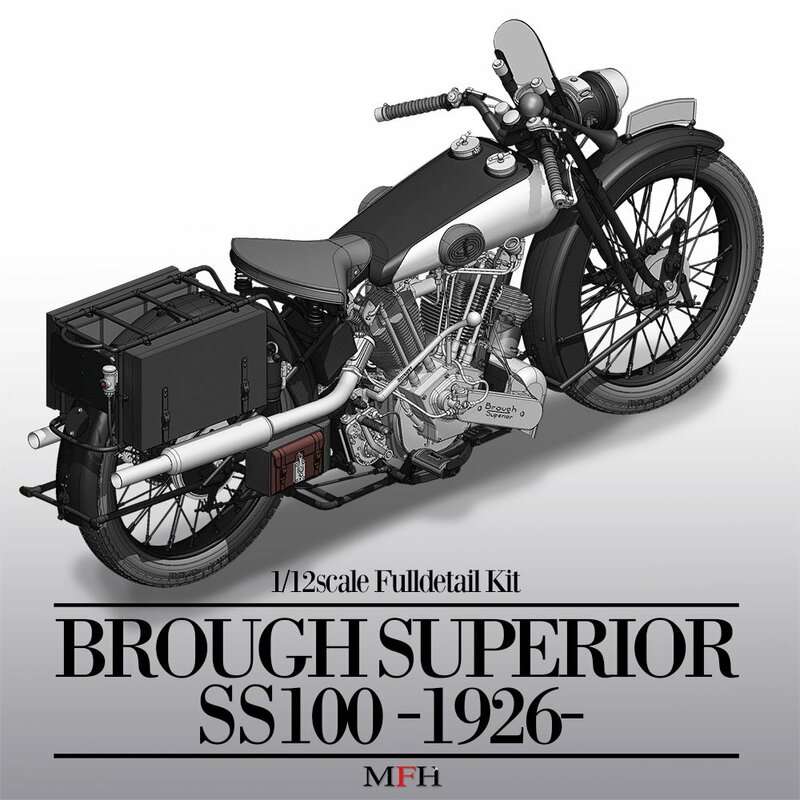 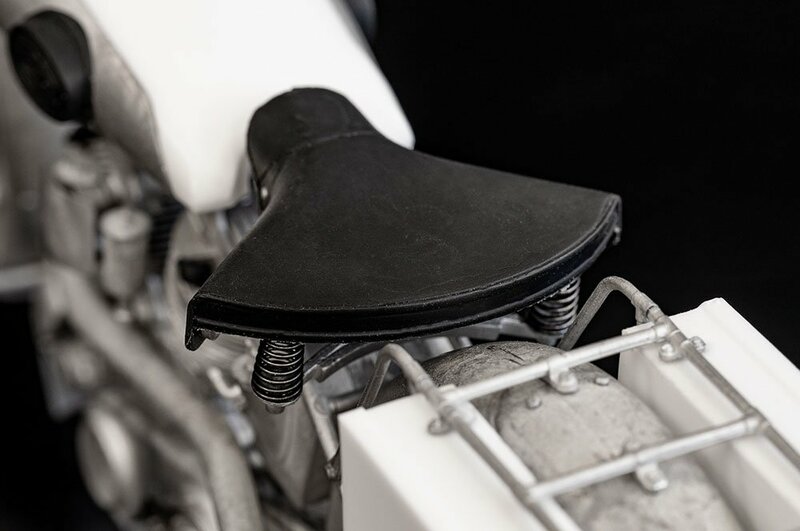 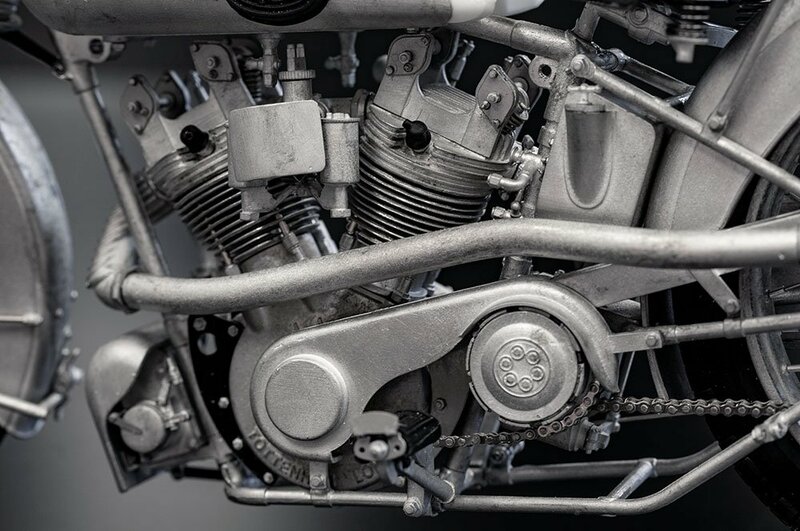 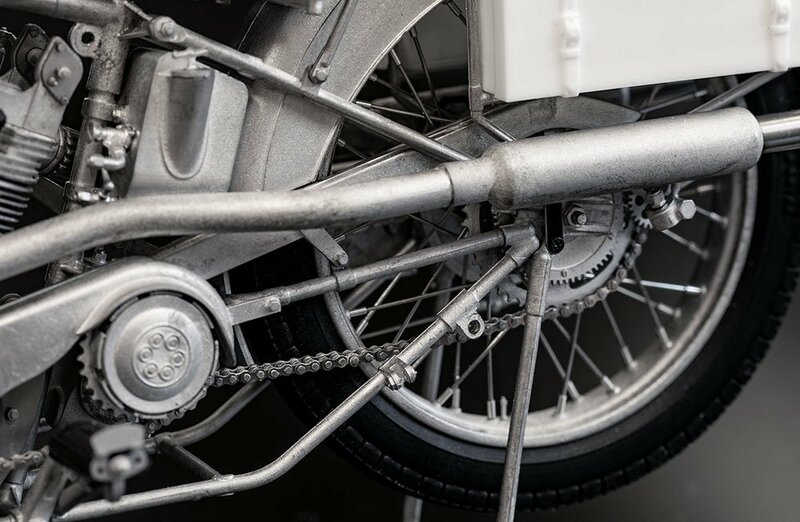 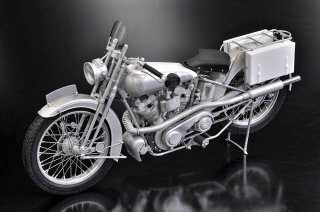 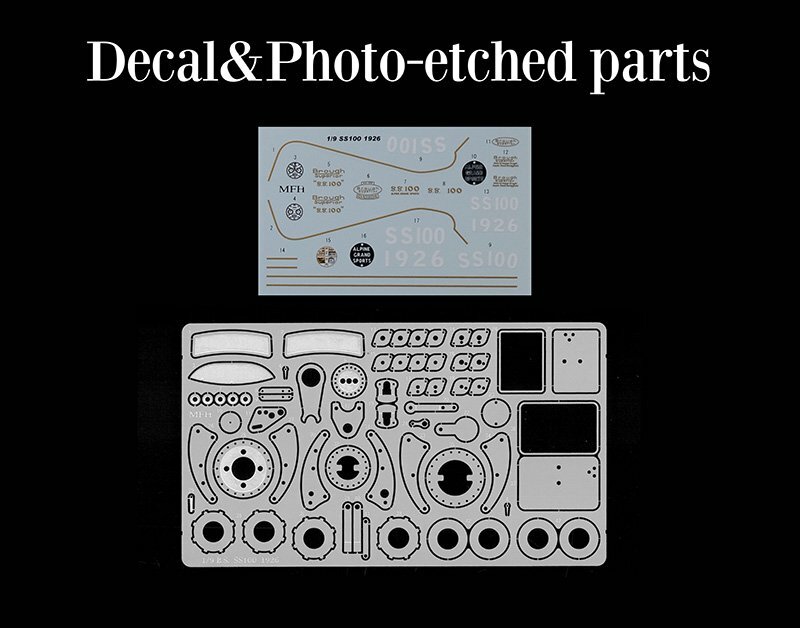 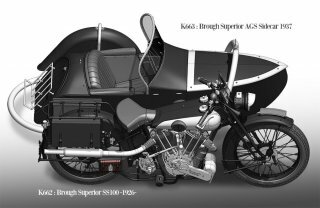 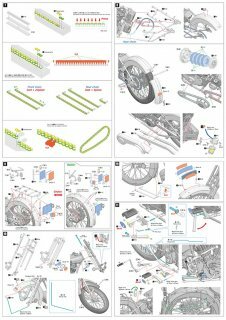 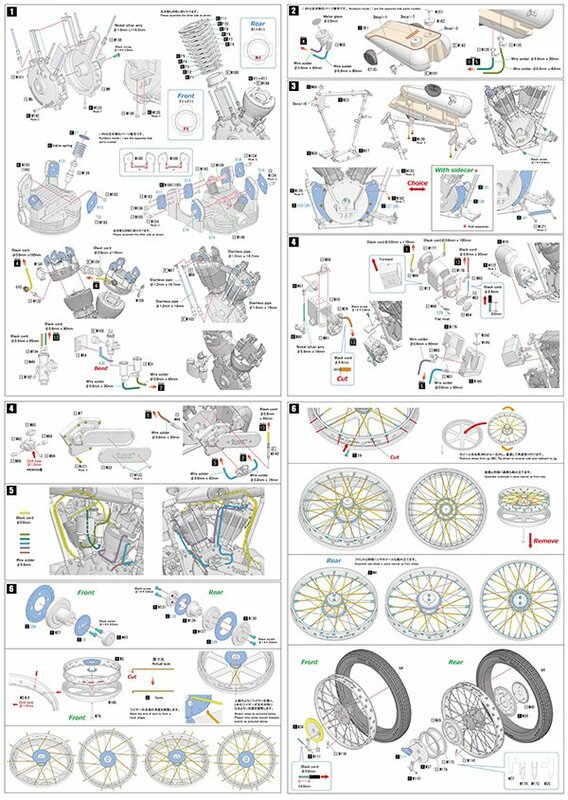 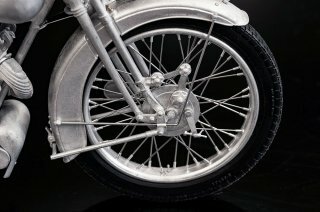 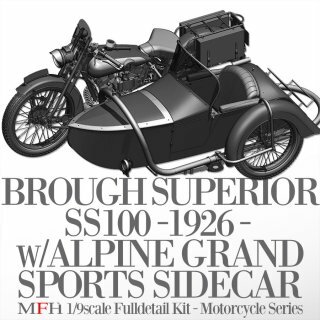 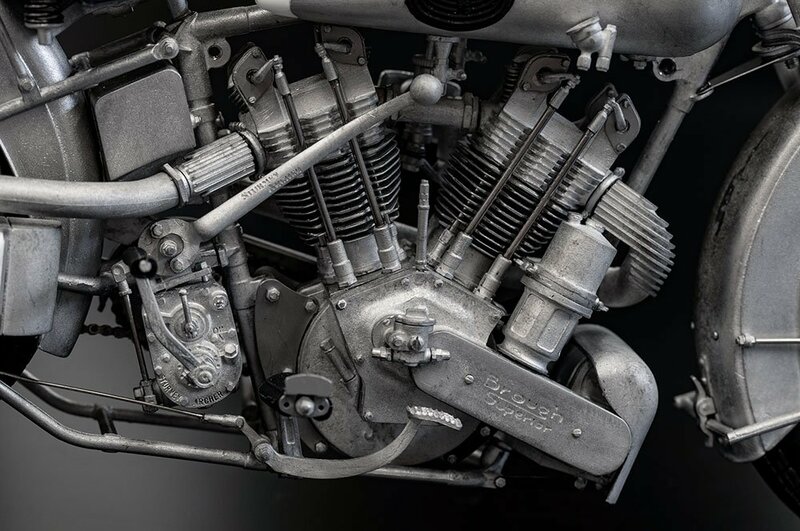 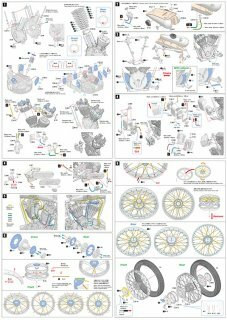 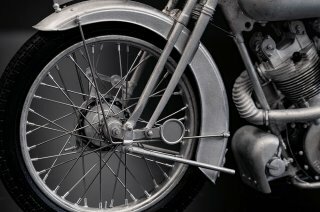 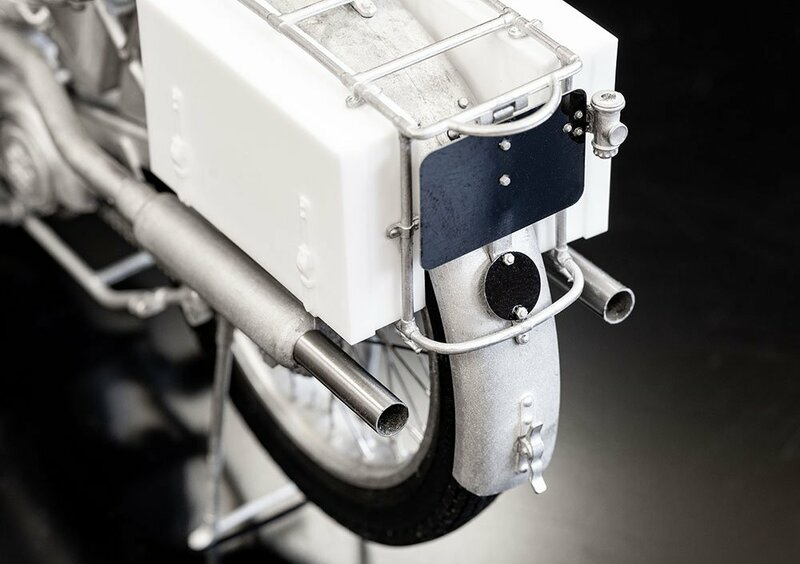 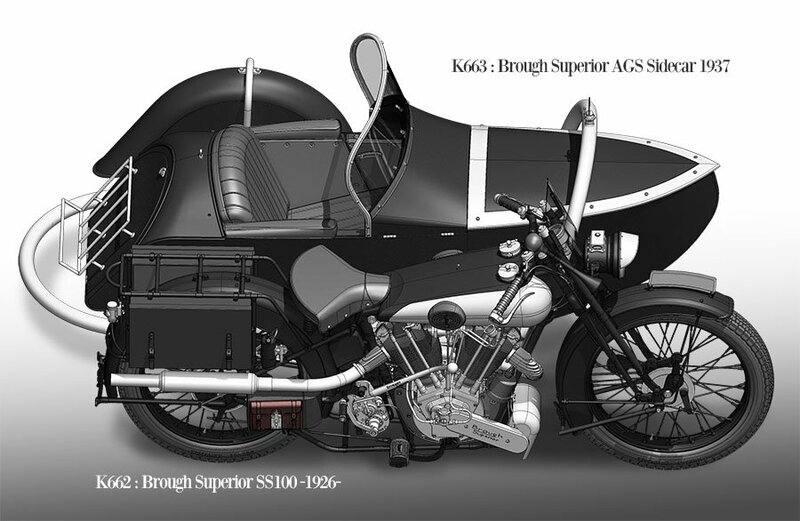 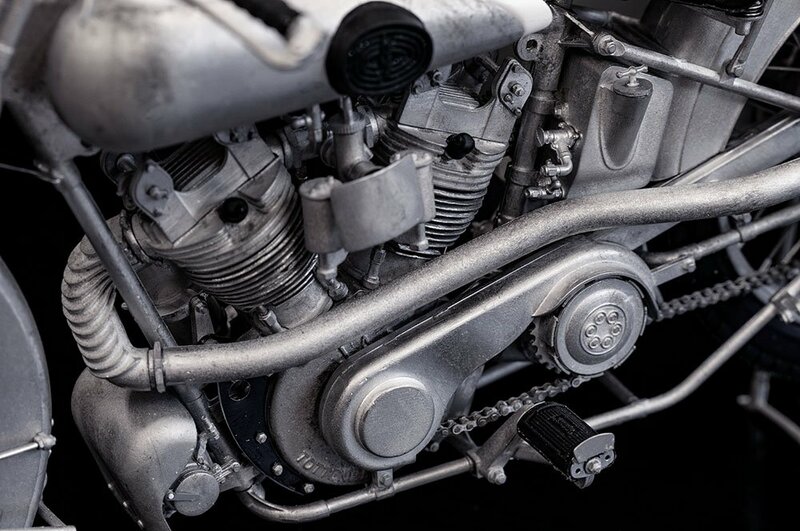 While the ?K485 1/9scale Fulldetail Kit : Brough Superior SS100? 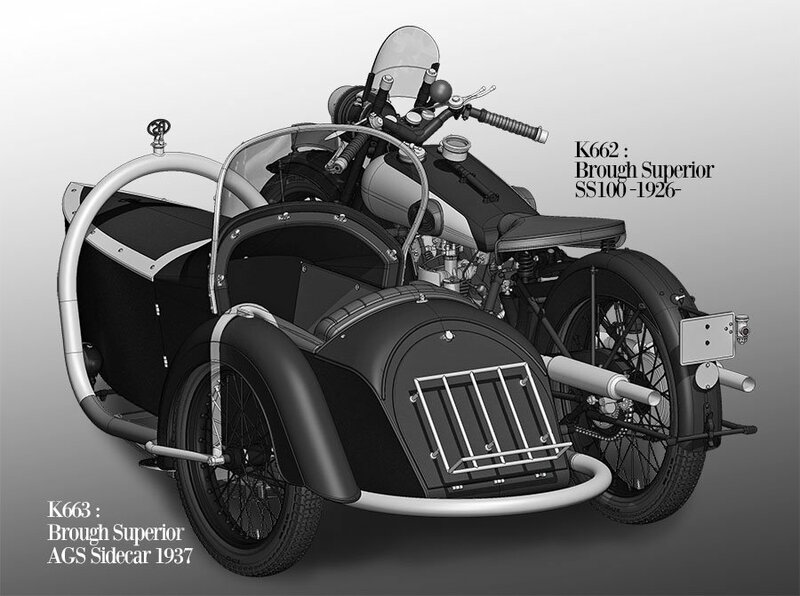 was based off the 1934 model, this version is based off the 1926 build. 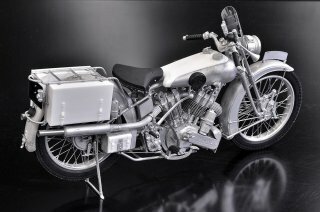 Engine, muffler and other parts unique to this build have been faithfully recreated. 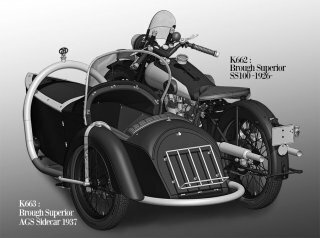 Optional trunk in the rear has also been recreated.